Apple today seeded the second beta of an upcoming watchOS 5.1.2 update to developers, one week after seeding the first beta and a little over a week after releasing watchOS 5.1.1, an updated version of watchOS 5.1 that addressed a bug causing some Apple Watch Series 4 models to be bricked after installing the software. As was discovered in the first beta, the watchOS 5.1.2 update introduces new complications for the two Infograph watch faces on the Apple Watch Series 4. New complications include Mail, Messages, Home, Maps, Apple News, Find My Friends, Phone, and Remote. watchOS 5.1.2 also introduces a new toggle in Control Center for turning the Walkie-Talkie feature on and off. 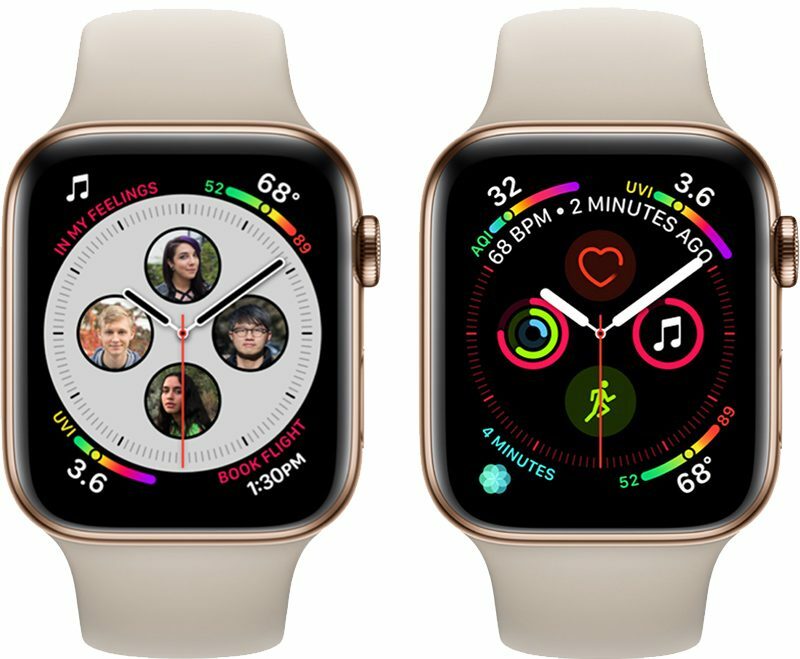 The previous watchOS 5.1 and watchOS 5.1 updates introduced support for Group FaceTime in an audio-only capacity, brought new emoji characters, and included a new full-screen "Color" watch face option for the Apple Watch Series 4 models. Any sign of the ecg function which is supposed to be out before the end of the year? Ok cool but where is my ECG ????? It does display the unread number, it just takes a minute to show it. Don’t know if this new beta improves that or not or not. Wow, this is actually going to immensely improve my Apple Watch experience. I’ve been avoiding the new faces because I don’t have a Messages complication. Unfortunately it doesn’t look like it displays the number of unread, but I’ll take what I can get from Apple on the software side. messages is a welcomed complication. I'd really love a seconds option on the digital time displays. Also, would be great if we could have the sunset complication on the digital time info face. Only on the analog infograph right now. As for walkie talkie, it was an interesting gimmick, but I don't think I'll ever use it again. If you're busy and the message comes through, you miss it. I don't see a replay button. Seems we'd be better served with just a voice message back and forth. But, that might just be me. I thought I was the only one waiting for sunrise/sunset complication. I’ve gotten too used to having it on the previous watches. The messages complication does support unread. There’s a pic In the previous thread of last beta. The corner messages complication has the written word x Unread , & presumably the larger round complication supports the number too , although not seen a pic of this. The round messages complication does indeed include a number inside the bubble for unread messages.